Have you tried the groundbreaking Fusio-Tech UV Black Piping by aquatechnik NA! As the first fusible polypropylene pipe solution with UV protection, workers will immediately notice a substantial reduction in labor hours as well as a substantial improvement in installation when working with outdoor fusion pipe. Additionally, there is no need to deal with pipe painting to improve the UV protection. Designed to last years and withstand conditions, Fusio-Technick UV Black Piping uses the optimum quality polypropylene and it remains the only industrial strength pipe of its kind. Fusio-Tech UV stabilizer has undergone extensive testing to virtually guarantee what may be the finest UV resistance currently available on the market. It is also resistant to cement, plaster, and electrochemical reactions. In addition to better outdoor installation, the pipe allows for welding or fusing without the need to treat the pipe or the fittings. Use it to transport hot or cold potable or non-potable fluids, in industrial applications, it is truly a one-of-a-kind product on the market! 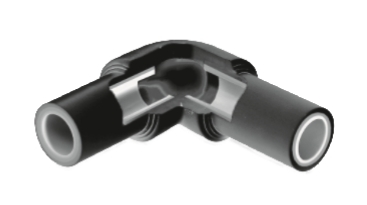 For additional information on Fusion-Tech UV Black Piping, please visit the MIMECO product page or feel free to call us.